High shine for a long time ... it's what every manicure maven wants! 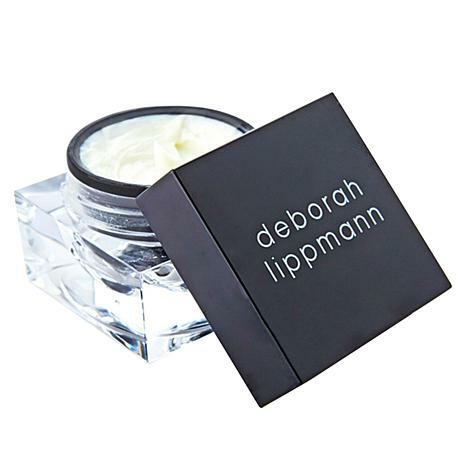 Get that gorgeous, glossy gel look without the damage and extra accessories in this extended wear formula from Deborah Lippmann. All the beautiful benefits of a gel manicure without the drama; nailed it! Ingredients: ETHYL ACETATE . BUTYL ACETATE . ISOPROPYL ALCOHOL . ADIPIC ACID/NEOPENTYL GLYCOL/ TRIMELLITIC ANHYDRIDE COPOLYMER . NITROCELLULOSE . TRIPHENYL PHOSPHATE . TRIMETHYL PENTANYL DIISOBUTYRATE . STEARALKONIUM BENTONITE . DIACETONE ALCOHOL . STEARALKONIUM HECTORITE . TOSYLAMIDE / EPOXY RESIN . SUCROSE ACETATE ISOBUTYRATE . BENZOPHENONE-1 . CITRIC ACID . DIMETHICONE . BIOTIN . AUCOUMEA KLAINEANA RESIN EXTRACT . CAMELLIA OLEIFERA LEAF EXTRACT . CARTHAMUS TINCTORIUS (SAFFLOWER) SEED OIL . OENOTHERA BUENNIS (EVENING PRIMROSE) FLOWER EXTRACT . HYDROLYZED CORN/SOY/WHEAT PROTEIN THIOGLYCOLAMIDE/THIOPROPIONAMIDE . PLATINUM POWDER . GLYCIDOXYPROPYL TRIMETHOXYSILANE / METHACRYLOYL PROPYLTRIMETHOXYSILANE / METHYLTRIETHOXYSILANE / MERCAPTOPROPYLTRIMETHOXYSILANE . METHYL METHACRYLATE CROSSPOLYMER . SILK POWDER (+/-) (MAY CONTAIN / PEUT CONTENIR) : TITANIUM DIOXIDE (CI 77891) .FERRIC AMMONIUM FERROCYANIDE (CI 77510) . RED 7 LAKE (CI 15850) . BLACK 2 (CI 77266) . TITANIUM DIOXIDE [NANO] (CI 77891) . IRON OXIDES (CI 77491 , CI 77499) . RED 6 LAKE (CI 15850) . BLUE 1 LAKE (CI 42090) . YELLOW 5 LAKE (CI 19140) . PERFECT color, GEL polish bulletproof! I cant brag enough on DLs Polish. Low on chemicals, it stays on my thin fragile nails, no chipping. Helps them grow not break. Easy to paint w/o streaks. This Lavender-ish color is heavenly! Love the brush & the color is beautiful. So happy I ordered this color it is absolutely gorgeous on your toes especially. Gave only 4 stars on the count of if I polish my fingernails on Monday by Saturday I have to retouch them. Not good. But I do love the vibrant color.loking forward to rocking this color on toes with sandals.easy taking off with nail polish remover and healthier then some of the other brands out there.